古灵益 (gu3 ling2 yi4, b.1991-07-03), Chinese 5-dan professional, reached the top 10 of China as a teenager at the 31th of August 2009. 1 dan in 2002, 2 dan in 2004, 3 dan in 2005, 4 dan in 2006, 5 dan in 2007. Winner of the 6th, 7th, 8th and 10th Xinan Wang in 2007, 2008, 2009 and 2011. 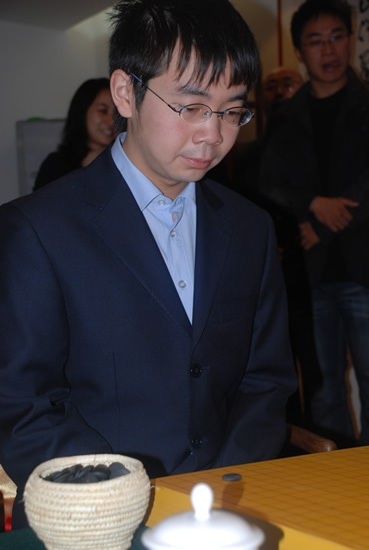 Winner of the 2nd Longxing and of the 6th Weifufang in 2010. Challenged Gu Li for the 22nd Mingren title, losing 3-1.